WoW!!! I started this newsletter in July and we were so busy I never got to finish it! So here goes .Hoping everyone had a good 4th of July, we have had a busy month. First Baptist Church Snyder arrived here on the 8th. 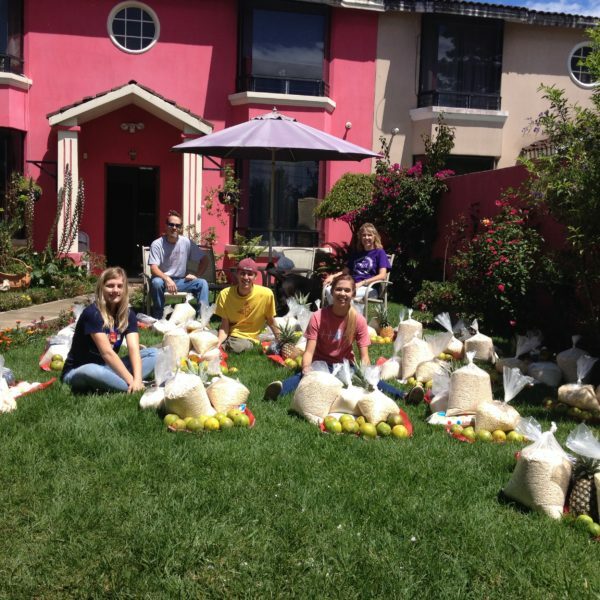 They bagged up 20 bags of food and went to get settled in at the mission house. Sunday, they went to church , ate brunch and went sight-seeing at Casa Santo Domingo, shopping at the Artisans market and then supper at Cafe Sky. Monday, they built 2 houses with kitchens and stoves. The families received food bags, water filter buckets, and bibles. Tuesday, they did the same. Wednesday, we went and installed 2 stoves, went to Campos de Suenos and served the children and then participated in worship and a craft . After leaving the feeding center they handed out more food bags. Thursday, we went to Land of Hope, Esquintla, to cook and serve soup to the people living in and around the dump ground. It was a very good week despite a few of the team members that were sick. Pioneer Drive Baptist Church came next. It was a nice surprise for us to have some Church Builder friends on this team. We missed the build in Weed, New Mexico this year, but were assured that despite the set backs they had, they got a lot accomplished on the project. 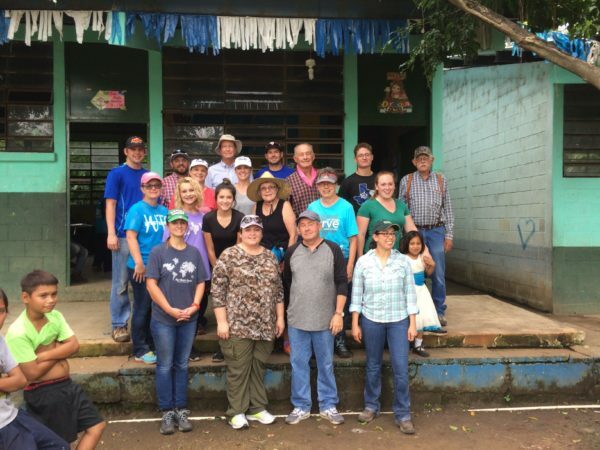 This team built 3 houses, installed stoves, visited a day care and Campos de Suenos and went to Land of Hope, in Esquintla, to cook and serve soup to that community. The next group were also friends from Church Builders. The Staley family, Patrick, Kimberly, Jacob, and Allison and a friend of Allison, Hannah Dover. This group built 1 house, installed stoves, gave food bags, brought TONS of clothes that blessed so many people and ministered at Land of Hope in Esquintla also. Allison had come 10 days early to help our ministry as an intern through her college. She will receive credit hours for her service with us. She was our second intern this year to receive college credit . She was a huge help and we’re thankful for her willingness to come and serve. We have some friends coming from Florida this week-end. Pastor Harold Hanks and his wife and another couple. 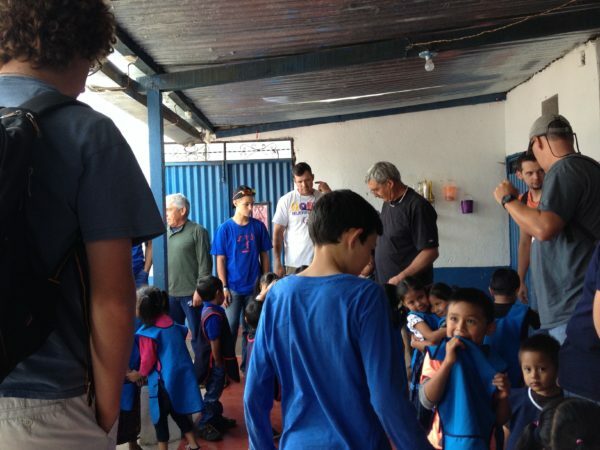 They plan on building 2 houses, visiting Campo de Suenos, Land of Hope , and installing stoves. This month we said good-bye to the Senesac family. They moved back to the states due to health issues and we will miss them greatly. They were such an asset to our ministry. We pray blessings over them as they transition back to life in the States. We will also be losing Obed and his family. It has always been his desire to raise his family in the States and Ana’s paper work was finally resolved. They were an asset to us as well. God sent us them and we trust Him with the future. Prayer requests are as follows : the Senesacs and the Mazariegos as they transition back to life in the States , if God wills, replacements for those families, health for the remaining teams coming and for us also, for future ministry opportunities.